In southeastern Ohio, EMF sells an FM it won’t be needing to lay-Catholic St. Gabriel Radio. Why won’t Educational Media Foundation need its 88.3, called WUKV? 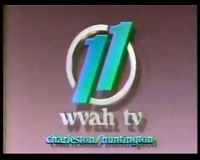 Because it’s got a bigger signal, at 104.1, which will provide coverage of Huntington, West Virginia. There’s a swap going on here, using the FCC rules. EMF’s changing city of license for 88.3 from Portsmouth, Ohio to New Boston – though its antenna won’t move and it’s still a Class A. While WPYK, a Class C0 (C-Zero) at 104.1, is changing city of license from New Boston to Portsmouth. EMF’s getting $175,000 cash for 88.3, and it’s keeping the “WUKV” calls, as well as the studio and transmitter site equipment. EMF’s been rebroadcasting WUKV on translators in the Ohio towns of Piketon (W204CQ at 88.7) and West Union (W224BO at 92.7). Those aren’t mentioned in the purchase agreement for WUKV, so presumably EMF keeps them. Re: the sale of 88.3 – EMF’s broker is Broadcast Properties LLC.